KOCENT OPTEC LIMITED supply standard quality of 1x16 and 2x16 fiber optic plc splitter with different length from 0.3m to 2.0m with 0.9mm diameter of pigtail. Terminal connector help you add any type of terminal connector such as SC/UPC, SC/APC, LC/UPC, LC/APC, FC/UPC, FC/APC, etc. - Planar Lightwave Circuit Splitter (PLC Splitter) is based on planar waveguide optical power distribution products, with low insertion loss and polarization dependent loss, small size, wide operating wavelength range, high channel uniformity and good characteristics. 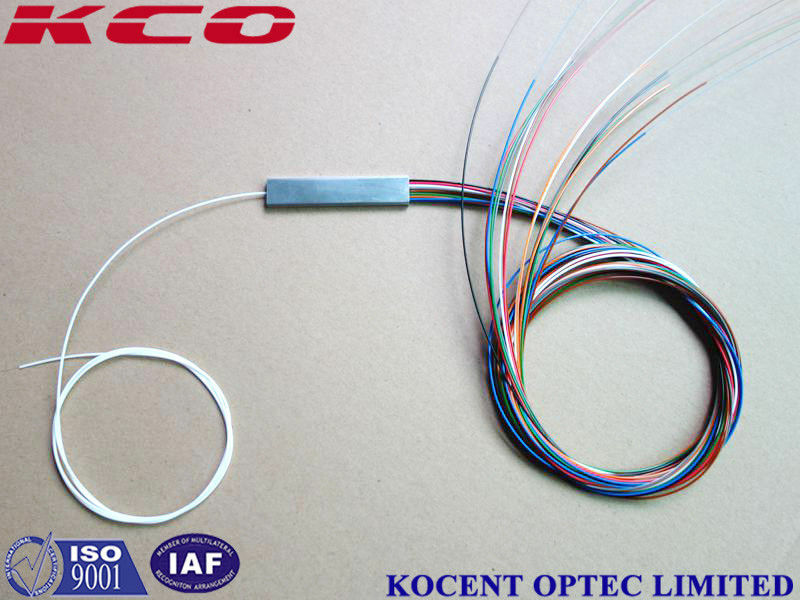 - Generally used in passive optical network (EPON, BPON, GPON, etc.) to realize the optical power splitting. - Our PLC splitters are compliant with Telcordia GR-1209-CORE, Telcordia GR-1221-CORE, YD/T 1117-2001 and RoHS standards. - Fiber to The Point (FTTX). 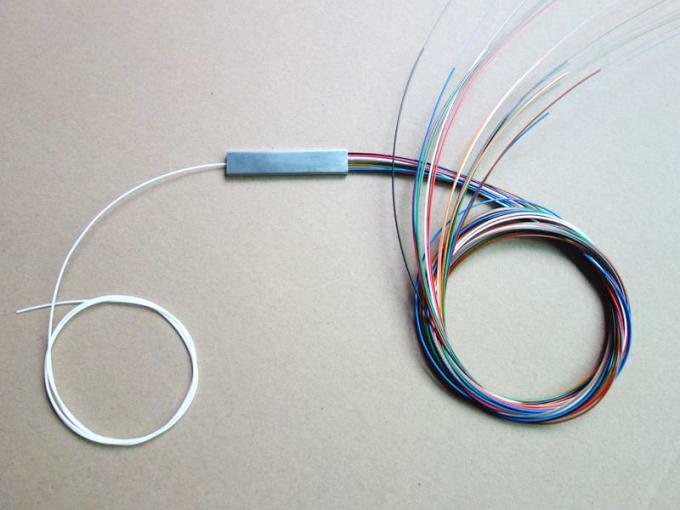 - Fiber to The Home (FTTH). - Passive Optical Networks (PON). - Gigabit Passive Optical Networks (GPON). - Local Area Networks (LAN). - Low Polarization Dependent Loss. - Telcordia GR-1221 and GR-1209.